A scenic tour of quilt blocks on barns, businesses and homes in Central Minnesota. 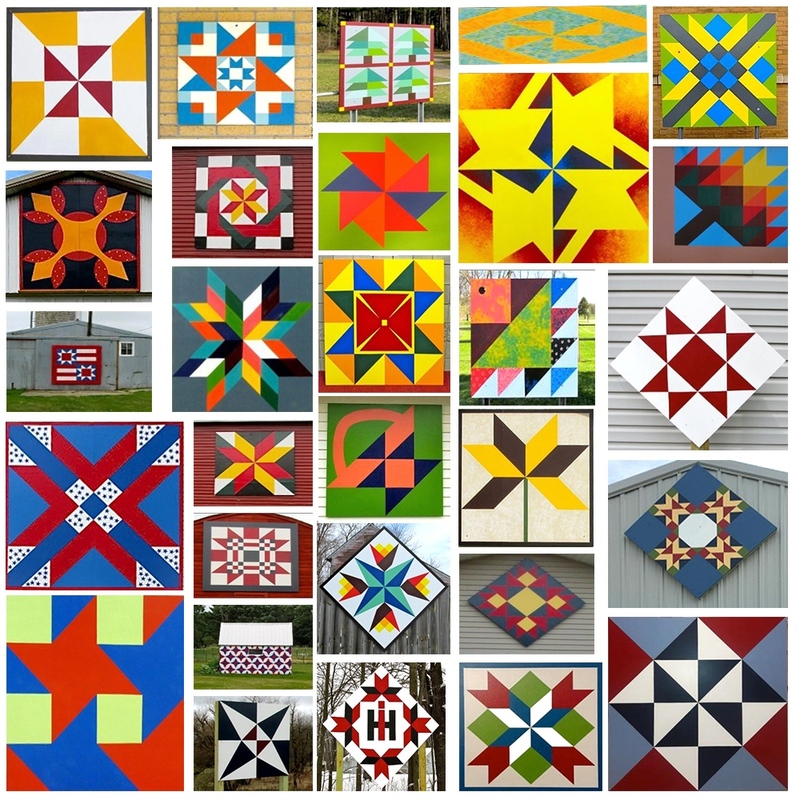 Barn Quilts, quilt blocks painted on wood squares, have a rich history as an artistic expression in rural areas throughout the United States. This year, Central Minnesota is joining this artistic revival with a new Barn Quilt Trail. Each handmade quilt tells a story – of the quilter and that point in time. Color choices, the pattern, the material used and the occasion are unique. A quilter can easily describe the story of a quilt they made no matter how much time has passed. Artists create barn quilts with wood and paint, not fabric and sewing. But barn quilts tell stories too; especially when put together in a loosely woven trail quilt. So, it comes as no surprise, Barn Quilts of Central Minnesota started with a quilter and a story. Lorna Wiens, from Staples, MN, was a talented quilter. While traveling through Iowa to Missouri, Lorna and her husband Mel noticed several barn quilts displayed on barns and buildings throughout the area. In August of 2015, members and friends of the Piecemakers Quilt group joined a tour of the Barn Quilts of Carver County. The idea took root as more friends became excited about the barn quilt trail project. Barn Quilts of Central Minnesota officially started in October of 2015. The group applied for and received a grant from the Staples Motley Area Community Foundation. The grant funds were used to purchase materials for the Staples Motley FFA to create five barn quilts by May 2016. The FFA constructed seven barn quilts in all during the time. Todd-Wadena Electric Cooperative hung the larger barn quilts. And the trail continues to grow as more people continue sharing their stories through the art of the quilt square. There are over 35 barn quilts now on the Central Minnesota Barn Quilt Trail. The trail winds through four MN counties: Cass, Todd, Wadena, and Morrison. Barn Quilts of Central MN is working within Wadena, Todd, Morrison and Cass counties to create a richly woven trail of Barn Quilts for all to enjoy. Art is being created and displayed by area residents and business owners on barns, buildings, and fence posts. Each Barn Quilt is uniquely and carefully crafted to reflect its sponsor and last for generations. Take a tour of our Barn Quilt Trail as it leads you into our friendly communities and out into the beautiful Central Minnesota countryside. Here’s a Trail Map Link.